According to a new report by pest control company Orkin, Washington, D.C., ranks as the fourth "rattiest city" in the United States. Ladies and gents, it has begun. 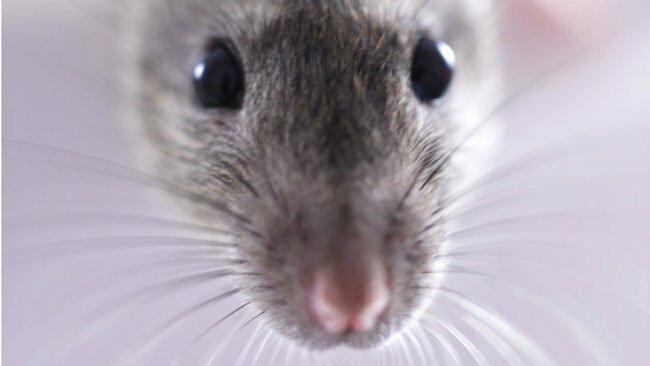 Rats' diabolical plan to take over the world is happening beneath our very feet. So, if anybody has the Pied Piper's phone number, let us know, because we've got a situation here. For the fourth year in a row, Orkin has ranked Washington, D.C., among the "rattiest cities" in the U.S. -- definitely not our proudest moment. The rankings are based on the number of rodent treatments Orkin performed from Sept. 15, 2017, to Sept. 15, 2018, and it includes residential and commercial areas. Now, you may not see them in the daytime, but there have been many witnesses to their evening escapades. And as we continue into the colder months, rat activity is only going to increase as they seek warmth and shelter, particularly those with readily-available food and water. "Rodents don't need much of an invitation to enter your home," said Chelle Hartzer, an Orkin entomologist. "A rat can squeeze through an opening as small as a quarter, while a mouse can wedge its way into a hole smaller than a dime." And the best (worst) part of this nightmare? This isn’t even peak rat-report season. That's right. This is actually breeding season, so mama rats will drop a litter of pups after about three weeks of gestation this time of year. This perfectly sets up infestations when the temperature drops. December and January are when rats are the most reported. Inspect both inside and outside the home for rodent droppings, burrows, and rub marks along baseboards and walls. The more quickly rodents are detected, the better. Look for possible entry points outside the home, seal all cracks larger than 1/4 of an inch, and install weather strips at the bottom of exterior doors. Trim overgrown branches, plants, and bushes to avoid giving them a "jumping off" point. Keep your home clean, inside and out. Clean up crumbs and spills as soon as they happen to avoid leaving food residue or sugary substances that can attract rodents. Store all food in tightly-sealed containers like plastic bins, and never leave food or dishes sitting out overnight. Spray goes a long way. Get a bidet.